UP Police Constable Admit Card 2018: The Uttar Pradesh Police recruitment exam is going to be held soon and the admit cards for the same is now available at prpb.gov.in. Candidates can check the official website and download the UP Police Constable hall tickets from the official website, prpb.gov.in. 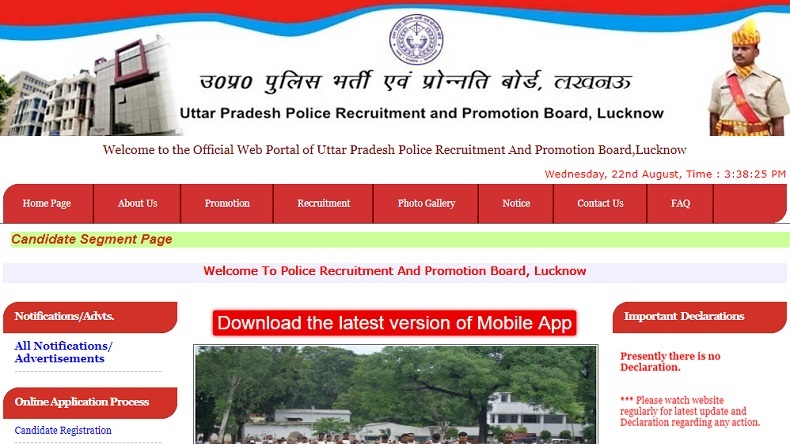 UP Police Constable Admit Card 2018: The Uttar Pradesh Police Admit Card 2018 has been released on the official website of UP Police Recruitment and Promotion Board. Candidates who had submitted their application for the recruitment can download their respective admit cards from the official website prpb.gov.in. According to reports, there are more than 41 thousand posts, which will be filled through this recruitment process. Moreover, the candidates appearing for the examination should note that they will not be allowed to sit for the UP Police Recruitment 2018 examination if they don’t carry their respective admit cards to the examination centre on the day of their examination. According to the official notification, the examination will be held from September 4-16, 2018.